Weston’s James Aselta puts the tag on Ridgefield’s Alex Hanna at second during Tuesday’s game. 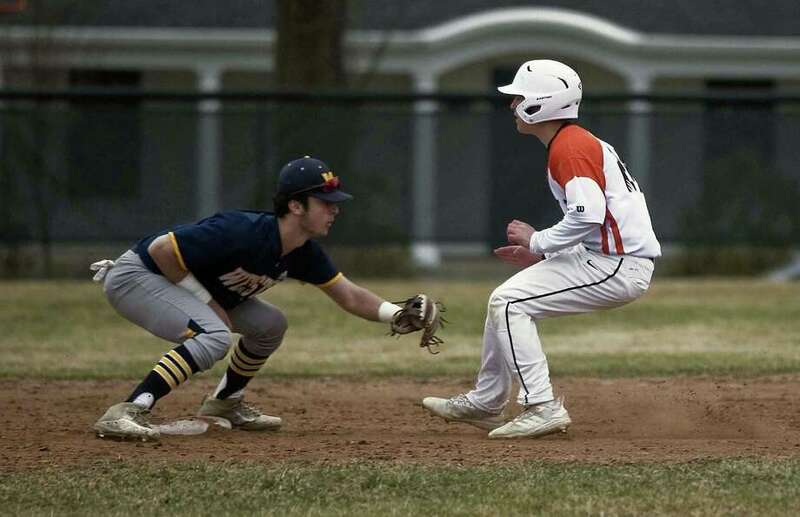 RIDGEFIELD — Ridgefield baseball coach Paul Fabbri knew his team had a good chance of winning whenever junior ace Matt DeLuca was on the mound this season. It was those games in between DeLuca’s starts that Fabbri was unsure about.